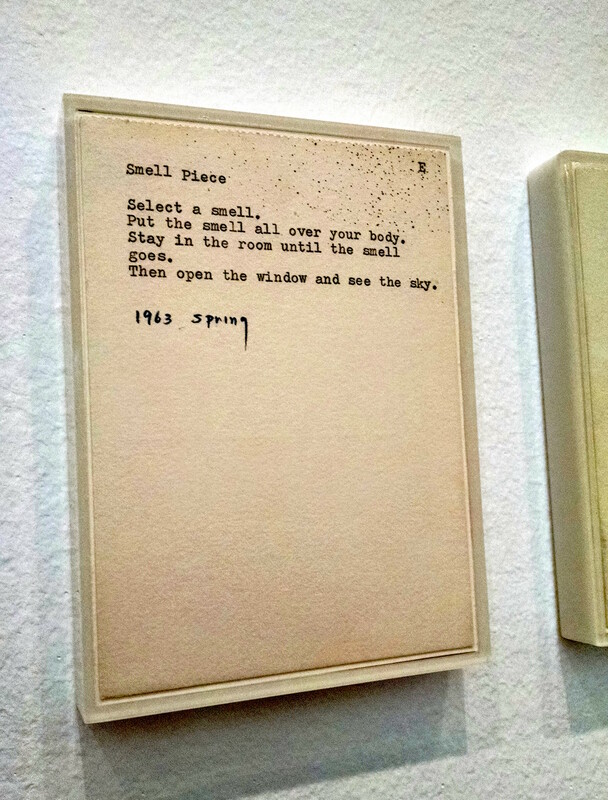 Back in May I visited the exhibition “Yoko Ono: One Woman Show, 1960-1971” at the Museum of Modern Art. I was preparing to write a short piece about the show as a freelance assignment (see here!) and I ended up enjoying Ono’s early conceptual art more than I expected to. 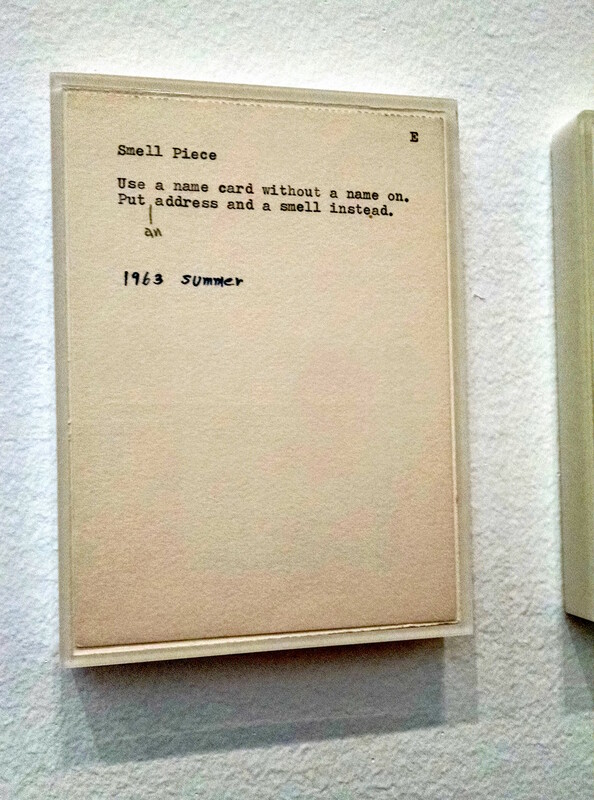 I spent a while looking at a long series of works that are actually instructions for making art–typed out on ordinary pieces of paper. Ono made them in the early 1960s. Some of the directions are fanciful yet possible; others are purely poetic. All of them remind us that anyone can make art and that art can be many things other than a painting or a sculpture. It can be an experience. Some of the proposed works involved movement or sound; many of them suggested interactions with the natural environment. 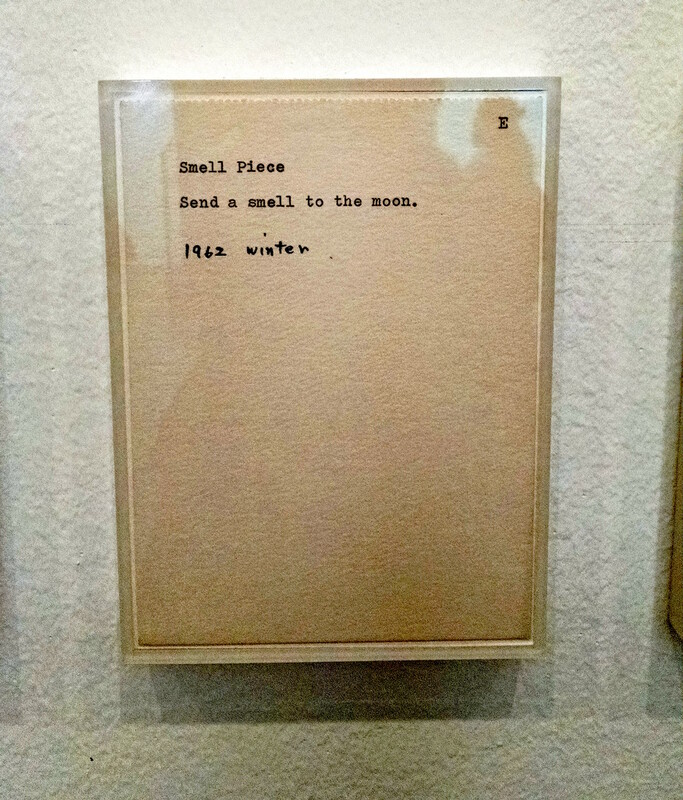 I was particularly pleased by these instructions for composing “Smell Pieces.” Here are a few that I photographed.